What are the Different Types of Malt Whiskey? There are a few different types of malt whiskeys. 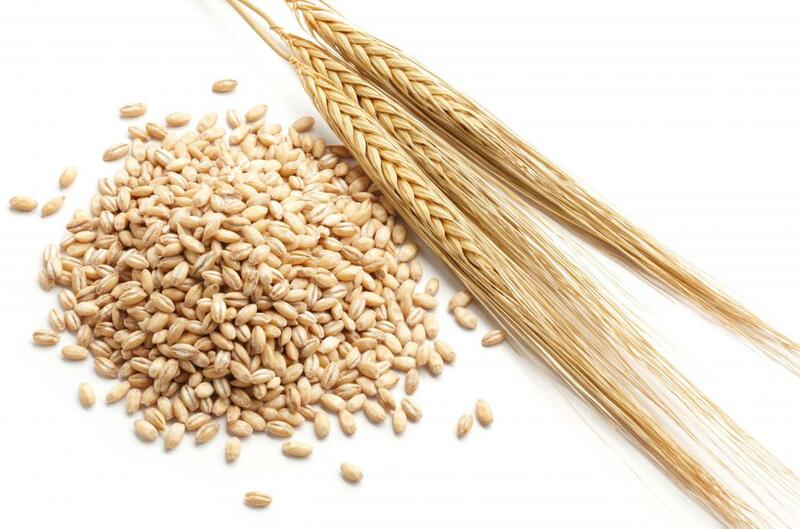 Barley is a grain used to make malt whiskey. 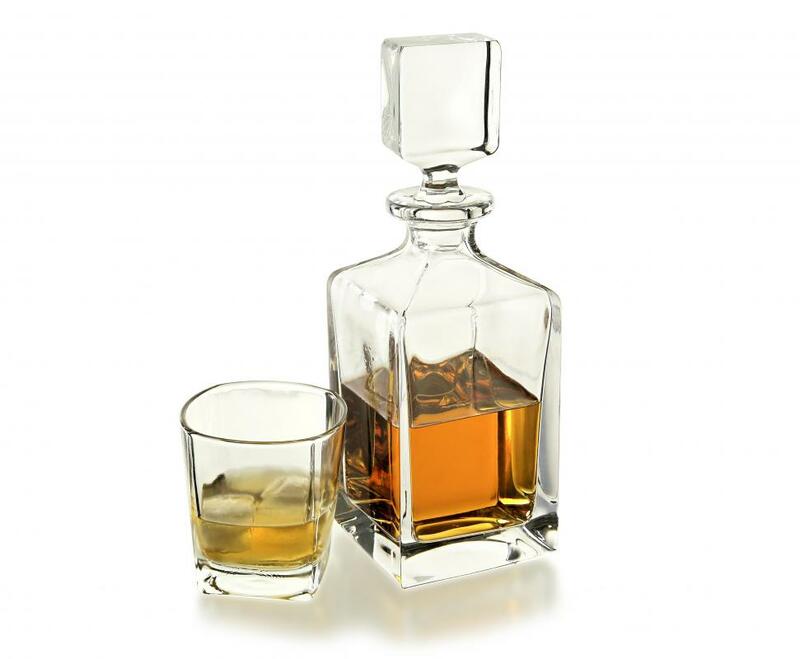 Like wine, whiskey can be kept in a decanter for decoration or storage. Single malt whiskey, blended whiskey, and pure malt whiskey are some of the different types of malt whiskey. Whiskey is a distilled beverage made from a cereal mash. The types of cereal can be barley, corn, wheat, or rye. The "malt" in malt whiskey refers to the process of how the grain is fermented to produce the alcoholic beverage. In the case of malt whiskey, the beverage is made entirely of malted barley. Scotch, whiskey made in Scotland, is the most well-known example of malt whiskey. Whiskey has actually been distilled in Scotland since at least the 15th century. The name is derived from the English translation of the Gaelic "uisge beatha," meaning "water of life." The Latin "acqua vitae" also means "water of life." Malt whiskey in Scotland starts as barley that has been allowed to germinate by being soaked in water. It is then dried with heat. Peat, the typical fuel used in the drying process, imparts its own flavor and aroma to the final product. The malting process converts the starches in the barley to sugar, allowing fermentation. The malted barley is then turned into a mash and stirred with hot water. Next, yeast is added and fermentation begins. The whiskey is distilled two or three times in copper pot stills, then put into oak casks for at least three years. The whiskey soaks up flavors from the oak, as well as whatever was aged in the casks previously. The main differences in the different types of malt whiskey are produced during the bottling process. Single malt whiskey is made from a single distillery. It may come from different casks at the same distillery to allow for a flavor unique to that distillery. It is a rarer drink because only five percent of single malt whiskey is bottled. The rest is used in blends. Pure malt whiskey is a blend of barley malts from different distilleries. It has no other grains in it. It is sometimes referred to as a vatted malt or a blended malt. 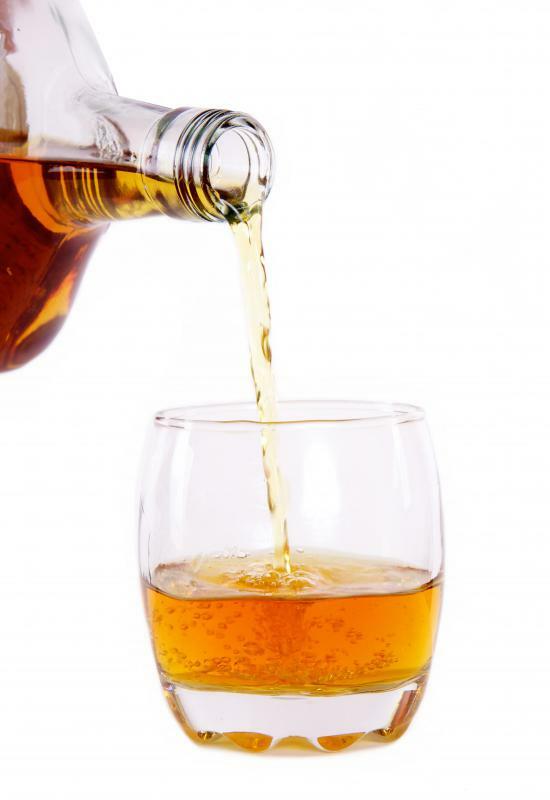 Blended whiskey, which is different from blended malt, is the most popular type of whiskey. It is a blend of malted and other grain whiskies, though usually about 40 percent malt and 60 percent non-malt whiskey. Higher quality blends have a higher percentage of malt. Large brand names are usually blends to ensure a consistent taste year after year. Single cask malt is bottled from one cask. It will not have a consistent flavor since it cannot be blended with whiskey from other casks. Cask strength malt is bottled straight from the cask, without any water added to it. This is thought to be a superior beverage, allowing the drinker to dilute it as he pleases. A whiskey's age refers to the number of years between distilling and bottling. The more years the drink spends in the cask means the more characteristics it picks up from the wood. It does not age in the bottle. Besides Scotland, Ireland and Japan are known for their malt whiskies. The United States, Canada, India and other countries also make whiskey, though usually from non-malted barley or other grains. Also, the spelling in Scotland is usually "whisky" with no e, but in the United States it is "whiskey" with the e.
What Are the Different Types of Malt Beverages? What is an Ethanol Still? What is a Single Malt? What is Single Malt Whiskey? anon, when you write for wiseGEEK you can spell it how you want. Why are you so offended? Does she have to spell color, as colour, too? dear Heather if you like to write about Scottish malt "whisky," please have the courtesy to spell it correctly. I know in the states you put an "E" in it but here in the UK it is spelled with no "E:" "whisky." Thank you.